When added to your luggage handle, our colorful IdentiGrip Luggage ID cushions your hand and aids in quickly identifying your bag on the luggage carousel. Unwrap the grip from the handle to reveal an address label, perfect for safely keeping your contact information handy. Tangerine IdentiGrip Luggage ID is rated 4.8 out of 5 by 18. Rated 5 out of 5 by JAR0223 from Best Travel Aid With all the black luggage coming through the airport claim areas, the Identigrip Luggage IDs in neon colors make it easy to quickly spot and retrieve your bags. A great product! Rated 5 out of 5 by lfong from Great handle cover I needed a handle cover for my suitcase as it was torn. Not only did it cover up the handle but was a nice padding when carried. Rated 4 out of 5 by christacraw from orange handle cover ID A great little cover for the handle of any case, you can see it straight away, good for quick ID. Rated 5 out of 5 by employeewannabe1 from so helpful! i first used this on my 1st trip to Key West. it was so helpful i now want some for all my suitcases. several people commented on what a great idea. Rated 4 out of 5 by corlette from Luggage ID This is an Instant ID for my bags. I don't have to wonder about all the black bags now since I have the ID. I love the colors that are offered. I love it so much that I bought several as gifts! Rated 4 out of 5 by LoveTheContainerStore from A Luggage Tag That Actually May Arrive With My Lug The problem with most luggage tags is that they get ripped off my luggage through airport/airline handling. This one looks like it is designed well enough to make it through luggage handlers. I haven't tested it yet, but it has a design that just may work! Rated 5 out of 5 by Sammare from Huge Help! Love these!!! Huge help In baggage claim area. A standard black bag is easily identified with these on your handles. Simple, inexpensive and stay on !!! Rated 5 out of 5 by lb213 from smart I love my Bucky handle! It makes spotting my bag a breeze and looks cute. I have the same one for close to 5 years, and it's super durable. Rated 5 out of 5 by janieb from works beautifully When looking out over a sea of suitcases as we disembarked from a recent cruise, we were able to spot our bag in a flash. The handle also makes carrying the bag more comfortable. Rated 5 out of 5 by simplyorg from Quick ID for your luggage Do you ever have trouble finding your luggage among all the others? When you add this fantastic IdentiGrip Luggage ID to your luggage handle, it's so much easier to find. It also cushions your hand while lifting your luggage. When you unwrap the grip from the handle, it reveals an address label. Comes in some great colors too! Rated 5 out of 5 by NINJA from ERGONOMIC LUGGAGE HANDLE AFTER AN EXTENDED TRIP TO EUROPE, I LOVE THE ERGONOMIC FEATURE (NOT PUBLISIZED). IT MAKES HANDLING THE LUGGAGE EASIER ON THE HANDS. I ALSO LIKE THE ADDITIONAL HIDDEN ADDRESS LABEL. HAVING CHOSEN THE LIME GREEN, IT MADE FINDING THE LUGGAGE EASIER AS WELL. Rated 5 out of 5 by SCCA from Very easy to spot at baggage claim! I use these ID handles for my nondescript luggage; my black suitcase looks like any other coming down the baggage claim belt. The handles are colorful enough to spot your luggage quickly and they stay securely attached to any piece of luggage. The combination of the velcro closure and the strap (to loop around the luggage handle) ensures that it will never fall off in transit. My only (minor) complaint is that the address label that goes on the inside of the ID handle gets worn down quickly. However, I fix that little problem by slipping in a new business card with every trip. Overall, I really like these ID handles. They're sturdy, easy to spot, and worth every penny. Sara Craven, our Construction Project Manager at The Container Store, knows a thing or two about travel. 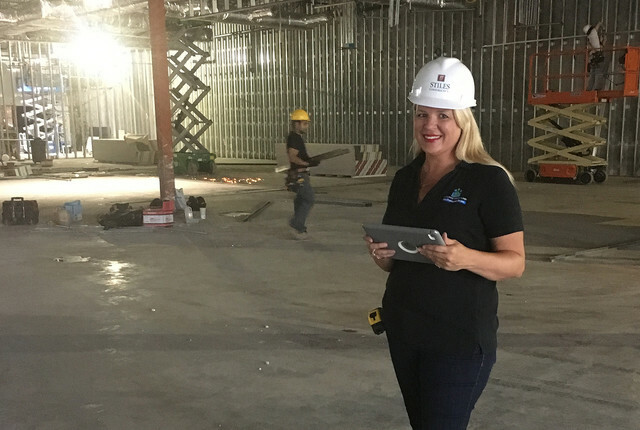 In her role visiting the sites where our future stores are being built, she travels almost every week of the year, sometimes to multiple locations. American Way, American Airlines' inflight magazine, even awarded her a third place nod in their annual Road Warrior contest last year.